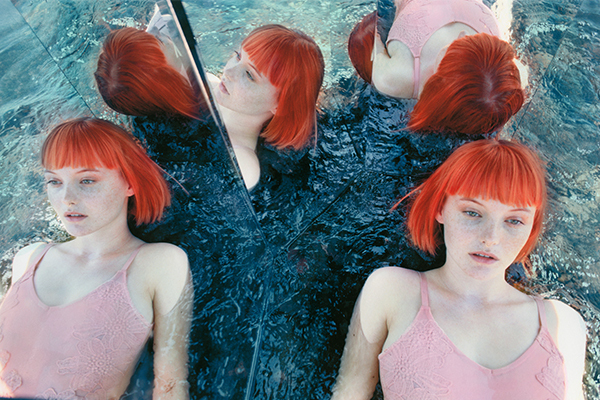 In The Round: Kacy Hill Debuts New Single "Foreign Fields"
Over six months after Kanye signed model, dancer and singer Kacy Hill to his G.O.O.D. Music label, the 21 year-old songstress has finally pushed out a dreamy new single titled "Foreign Fields." Set to appear on her debut EP Bloo, which will drop sometime this fall, the new track is a minimalist R&B cut, founded on her echoey bedroom vocals and some James Blake-reminiscent piano. The delicate finger-snap beat keeps things downtempo, until the song's hazy moving pieces speed up for a passionate climax.